Year 7 is the start of a very new journey. It is a coming-of-age adventure, as much for parents as for students. One of the main issues is the emotional leap we are forced to make when coping with transition. Coupled with a sense of not knowing how it all works, we can left be feeling a little helpless. My own son took this step a year and a half ago and I have spent many years as a secondary school English teacher so below is some advice I may have managed to glean along the way. View this step as a positive, exciting experience. You may be sobbing inside for that little boy or girl lost but act like it is going to be the best of experiences. Accept the inevitable gracefully and enthusiastically. Wherever possible, forge strong links with other children who will going to the same school and their parents. This has a massive impact on those first few days and weeks – they will make other friends but these ‘familiars’ provide a fantastic prop during that bedding in period. Get the right kit if you can – there is nothing worse than a melt-down over the wrong bag / shoes / lunch-box on the first day. Make the journey to the school with your child to build confidence about the route. Create ‘fail-safes’ – your child will find it easier to cope with unexpected situations if you have discussed what they should do first. Without worrying them, gently go through what to do: ‘If you miss the bus…. ; If you lose your dinner money…; If you feel unwell…; If you feel unhappy…’ We often forget how a young 11-year-old may not know the answers to these questions. Provide one banana or solid fuel snack that will get them through the day if they have lost their dinner money. My son was very poorly at one point and kept texting me but what he needed to do was to go to the school office and he felt too nervous. I wish I’d told him more clearly that he shouldn’t be afraid to seek a member of staff under such circumstances. Impress on your child that staff are not ogres – unless you seek them out five times a day complaining about a hangnail. Water is not always easy to get to in bigger schools – make sure your child carries a bottle of water. Post a copy of your child’s timetable on a kitchen door or wall so you know when they have PE (wash kit by…) or when it is likely to be a bad day with their least favourite subjects. Knowledge is power – use it to support your child. Sometimes that favourite chocolate biscuit on the bad day will make all the difference! You may find that school refusing suddenly has a certain appeal on these particular days so make sure you are well organised that morning and have the time and the energy to cope with the reluctance positively. Your main point of contact will be your child’s form tutor – this is the teacher who registers them in the morning and is there to be something of a substitute parent (some teachers out there cursing me now!). Often a form tutor will take their form up through the school to provide some much-needed continuity. For most teachers the role of form tutor is quite special – your form always feels like ‘your baby’ and I always enjoyed having contact with parents of children in my form so don’t be too afraid to email or phone them if you feel there is a real issue to be discussed. Don’t listen to those statements: “But all my friends spend 4 hours on X-Box / have their mobile in their room at night / eat 3 Mars bars for lunch.” You will not be able to compare notes at the school gate in the same way and they know that. Create your standards and stick to them. Your child may find secondary school a tougher environment than primary. Try to be sanguine about this, and make sure home is calm and nurturing in the evenings. Insist on sensible bedtimes, physical activity and decent food. And, however much your child suddenly feels ‘all grown-up’, never underestimate the value of one huge hug or smile. Bond is the number 1 provider of 11+ practice, helping millions of children improve their literacy and numeracy skills. 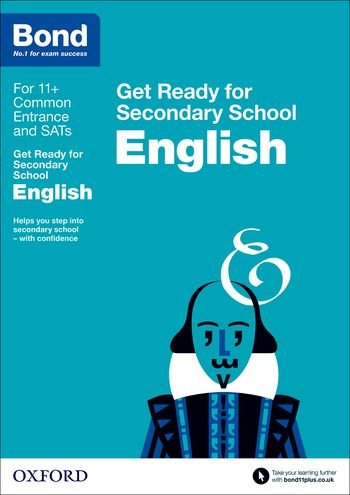 Bond Get Ready for Secondary School English provides essential support to help your child adapt to secondary school education, ensuring they have the core skills expected and the confidence to succeed. Bond is the number 1 provider of 11+ practice, helping millions of children improve their literacy and numeracy skills. 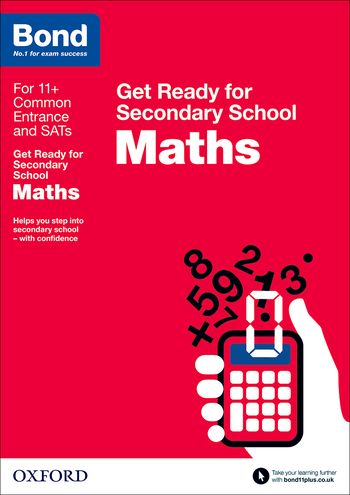 Bond Get Ready for Secondary School Maths provides essential support to help your child adapt to secondary school education, ensuring they have the core skills expected and the confidence to succeed. 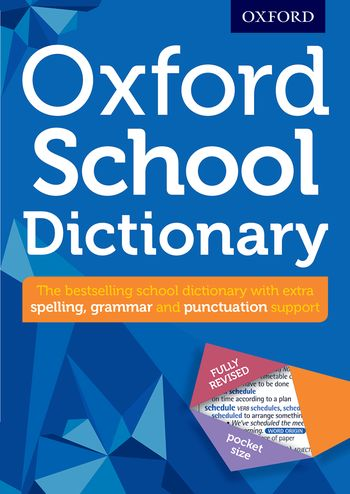 This new edition of the bestselling Oxford School Dictionary has contemporary, comprehensive vocabulary coverage, example sentences, and fascinating word origins. The dictionary supports students with their language and spelling skills, and helps with the transition from primary to secondary. 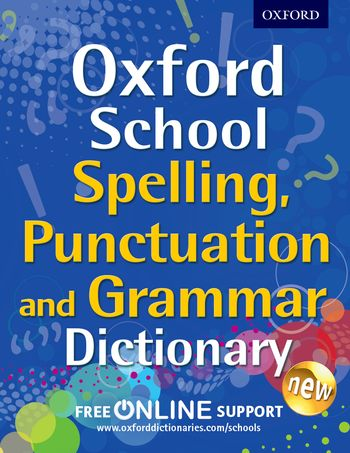 An invaluable guide to getting your spelling, punctuation, and grammar right!